The hotel booked this place for us. Typical Japanese restaurant… a hole in the wall that you would have never found unless you were a local. There were only three tables plus a few seats at the bar. The staff, although they spoke very little English, were wonderful and took us on a culinary journey. 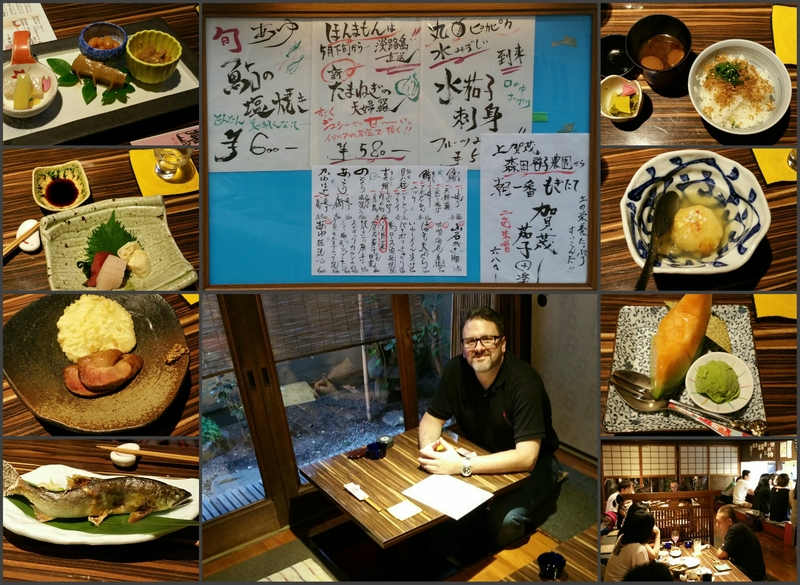 We had eight courses ranging from a whole salted fish to duck to sashimi to green tea ice cream. The food was superb and the service outstanding. It was exactly what I was in the mood for.